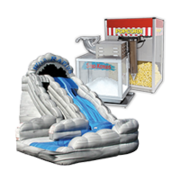 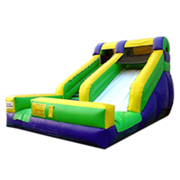 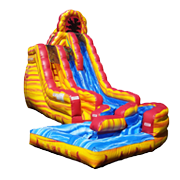 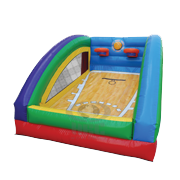 This combo inflatable is the largest combo that we have. 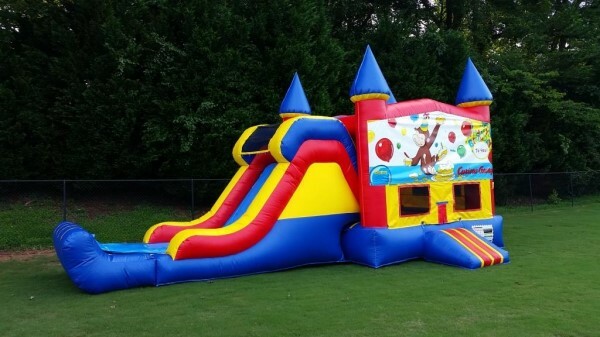 It has a large 15' x 13' jumping area, a big slide and a basketball goal. 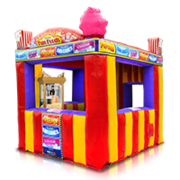 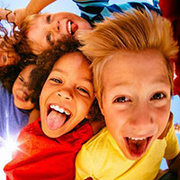 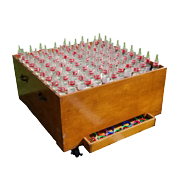 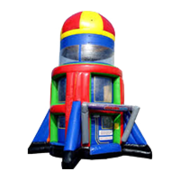 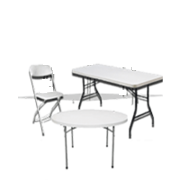 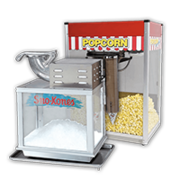 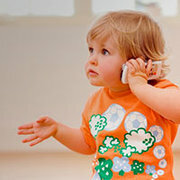 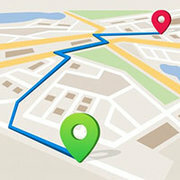 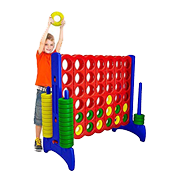 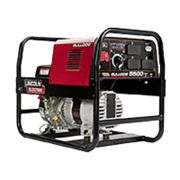 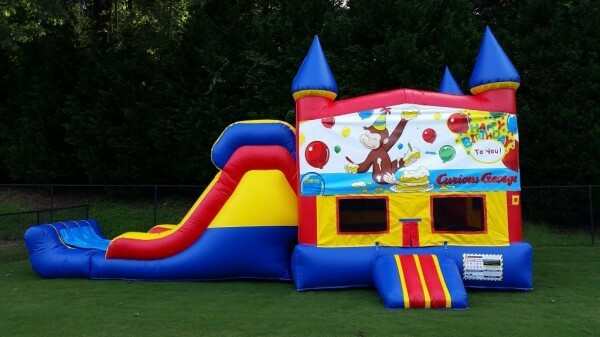 It is a great addition to any birthday party, church, school or business event. 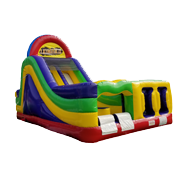 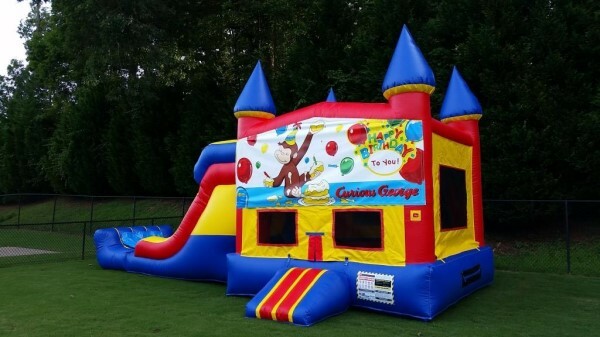 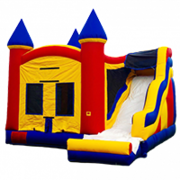 Our Curios George Castle Combo inflatable is the perfect size combo unit for kids that are 3 - 13 years old and younger. 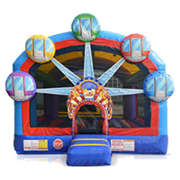 for kid combo inflatable rentals.